The original Broadmayne FC dates back about 2-3 decades, it has since folded and reformed. It mostly reformed competing in the West Bournemouth Sunday league and then transferring over to the Weymouth Sunday Football League. However at the end of the 2015/2016 season we made the jump back to Dorset Saturday league. In the season of 2016/2017 we were placed in Dorset Division 2 and finished a respectable 4th place, 1 point from second. In January 2018, halfway through the 2017/2018 season, we are sitting comfortably in midtable. The majority of the lads have certain alliances with Broadmayne Village, whether that be living there in the present or the past or having jumped on board with the cracking atmosphere that the lads have within the club. We pride ourselves in being one of the nicest teams in Dorset football. As much as we want to win we all know its not the end of the world if we don’t. We all play for the enjoyment of the game and the chance to socialise with the rest of the team. We have an open door policy when it comes to new players as they are always welcome. We have lads ranging from 16-45 years of age regularly training on Wednesday evenings 2000-2100 at Redlands 3G. If anyone is wanting to come along and fancies kicking a ball or 2 please feel free to drop me a text/email/phone call. 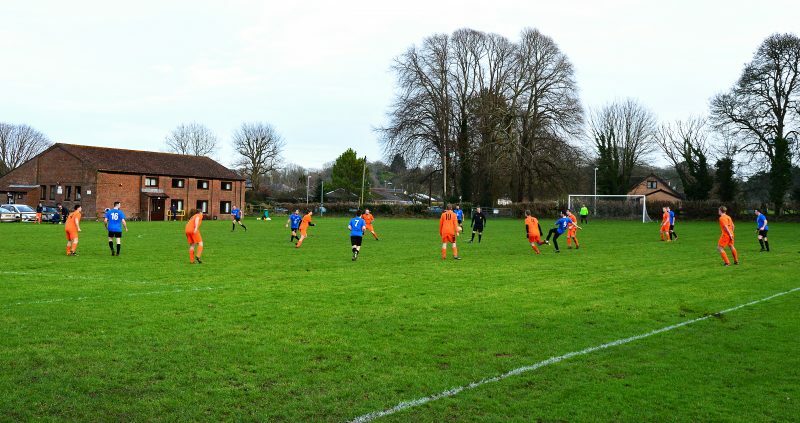 We play all our home games on the Broadmayne Playing Field in Cowleaze Road.